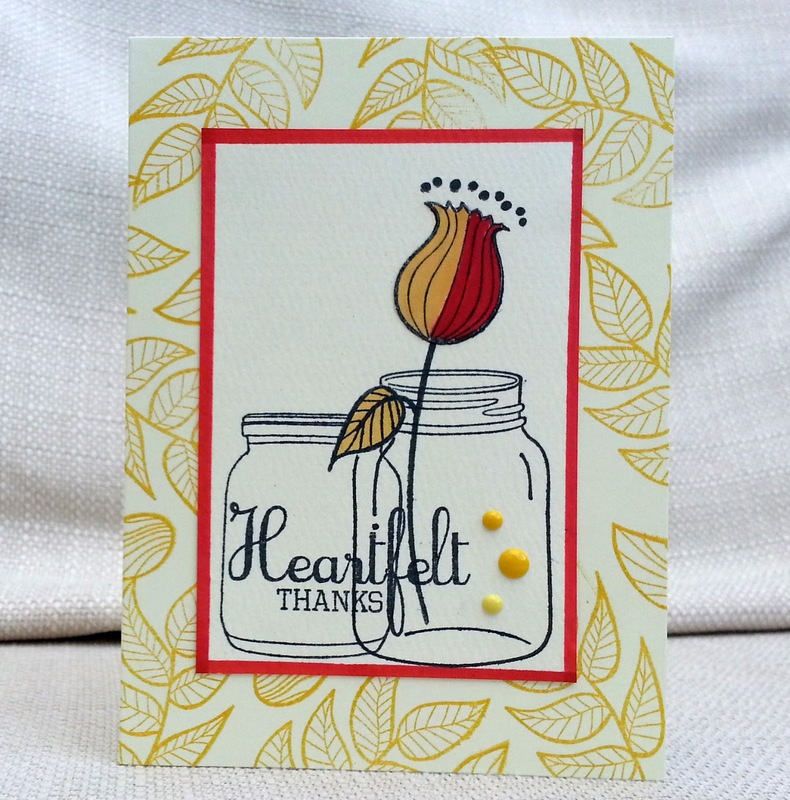 I stamped this flower stamp (I think it might be Kaisercraft or Kanban ?? Lost packet as usual) days ago and had it sitting on my desk, wondering what to do with it. Then I saw the 'Play misty for me' challenge at Shopping Our Stash . I do use sprays - normally I spritz a little over an inked background, or do a little squirt to distress a finished piece. My son (aged 8) LOVES sprays and squirts them liberally and messily. So I decided to spray like an 8-year-old and whoosh it all on ...I used at least four different spray mists here. After drying off my sprays, I added some more targetted colour to the petals with alcohol pens and did some highlights with white pen. I combined a few challenges when making this card. Try it on Tuesday's challenge is to add a crown, which put me in mind of the quote I've used. I remembered some 'animal ' themed challenges - domestic animals at My Time to Craft and 'all creatures great and small' at Crafty Creations. 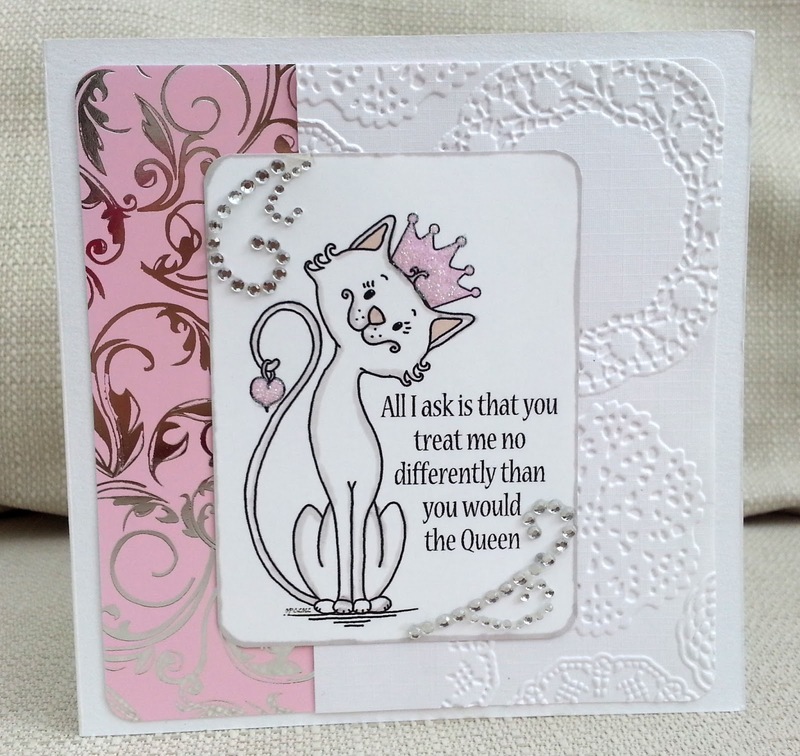 This made me think of a cat - they really do seem to think they're royalty, don't they? 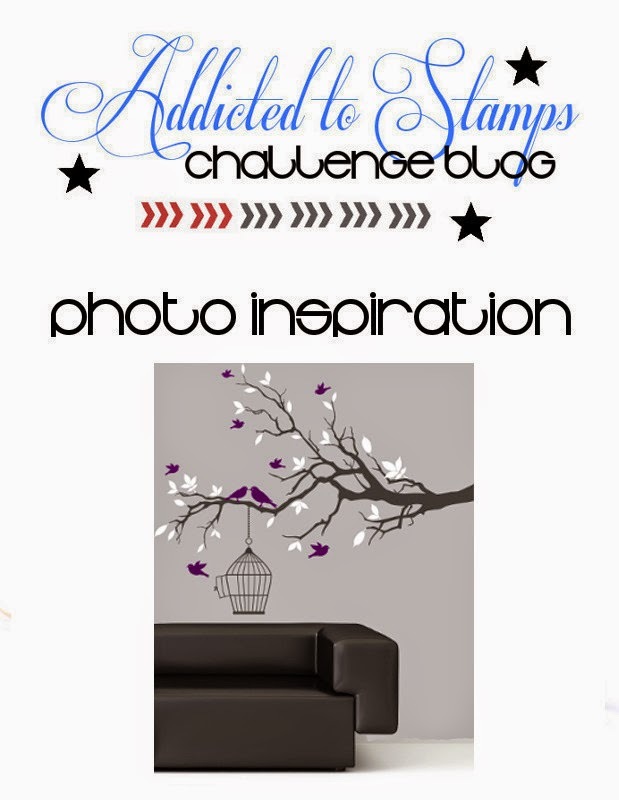 As Challenge up Your Life are having a digi stamp challenge, I searched my computer and found this one by Oak Pond Creations, which I coloured and added a crown and the quote. 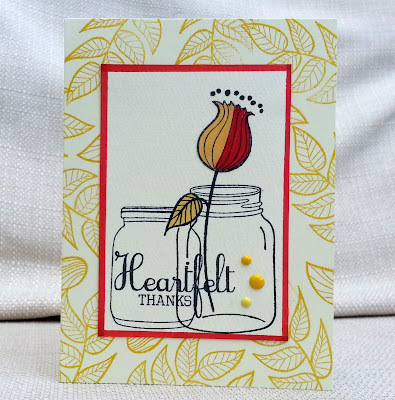 For my card I used a Clearly Besotted set that came with a magazine (sentiment and smaller jar), a jar by Stampin Up, and the other stamps are Alte New. 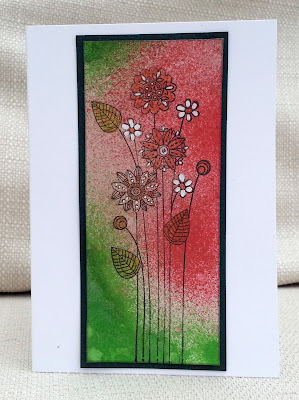 I know you might think I've done a weird colour thing on the flower - the style of flower reminds me of 50s prints and so felt the red and mustard accentuated that. I tried doing the head in one colour and also alternating stripes , but I just preferred it like this! Anyone for Demis (Roussos) ? Welcome to my gracious library. I'm posting this in the hope it might give someone a giggle. I've always wanted to make clothes, but I'm not talented in this area! I can't believe I've wasted the best part of two days of my well-earned annual leave making the above. 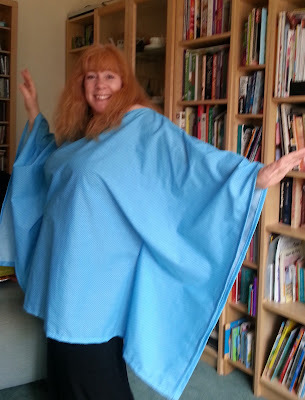 My daughter's partner saw the photo and asked if I was wearing a sheet. With hindsight.......perhaps I should have made it in a floatier material. Also, I think there was a problem with the sizing as the sizes in the packet were in US or European sizes and of course, in the UK we do our own thing regarding clothes sizes. So I followed their advice and measured my bust and made the corresponding size according to their chart. But....my bust is quite big and it's the only place the top fits! The neckline slips off the shoulders and there's enough room for a 5 year old child at the waist! This 'top' will be perfect for the beach...I could totally change out of my swimsuit into my clothes and no-one would spy an inch of flesh! 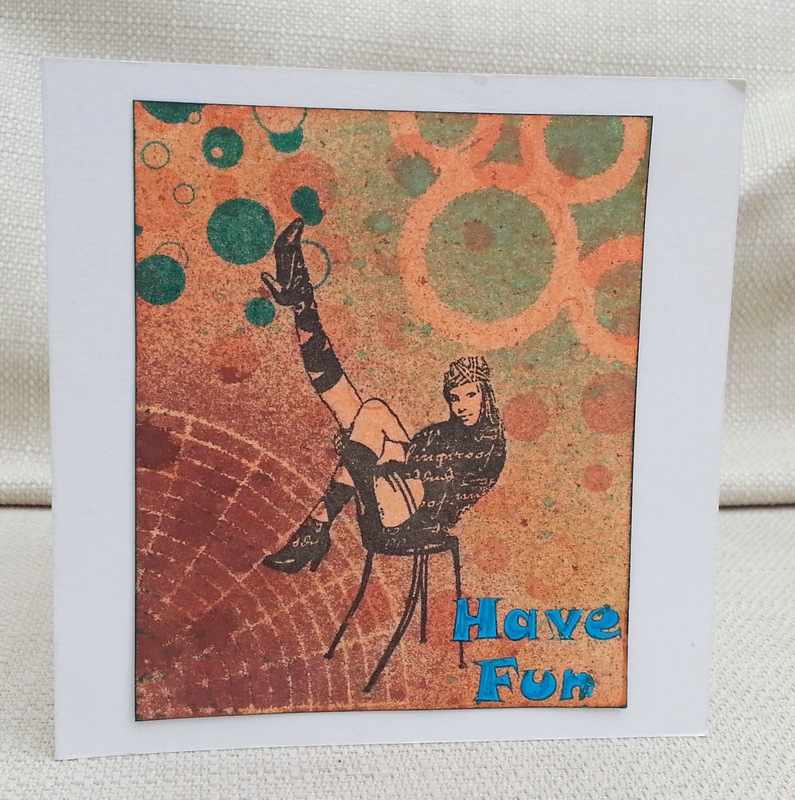 This card, using the sketch from Crafty Boots was made using technology (Silhouette cutting machine) and traditional methods. 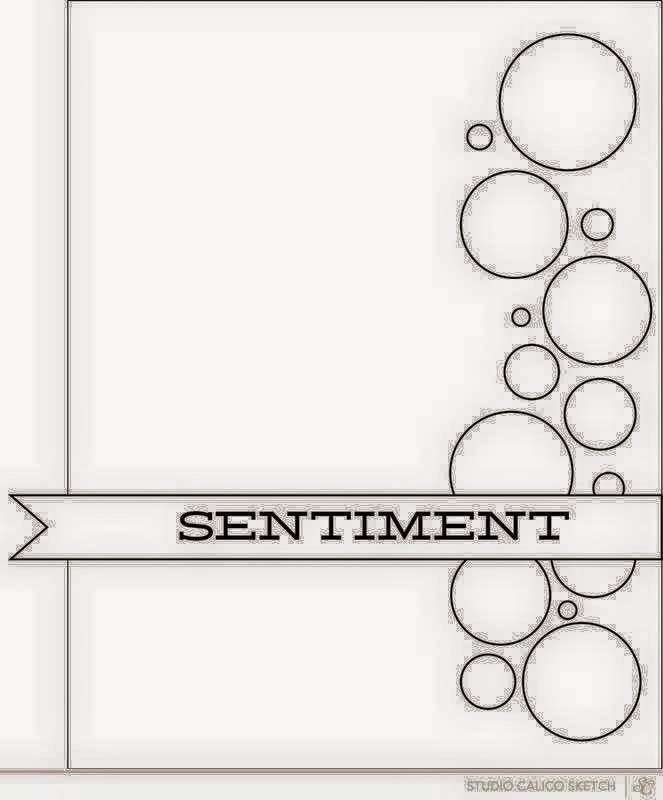 I wanted a row of sketchy circles, but I don't have any stamps (and don't even think about freehand!) , so I made some in Silhouette Studio and used the sketch pens to draw them electronically. ( The border was drawn at the same time). I had to experiment with colouring them. I tried watercolouring with ink but the pen ran too much, so I used alcohol markers. Then I used one of my favourite stamp sets (7 Gypsies 'numbers' ) to stamp numbers and words. Finally, I electronically die-cut the sentiment. The challenge at CD Sunday is 'Stepping out ' and it didn't take me long to think that I might find something suitable of the Crafter's Companion Frou Frou CD. This is a lovely CD, but I really don't like Crafter's Companion's CD interface. The categories are meaningless to me ( what do 'couture collections' and 'card companions' actually mean? ), and you have to trawl through a lot of folders to find a single design, often with just colour variations. What a shame, as a lot of the content is very good. Luckily, when I bought this CD it came with a copy in the Craft Artist format and this made it relatively easy to find a couple of images of dressed-up women. I cropped them just above the knees to focus on the legs and shoes 'stepping out'. The frame and flower were die-cut, using Fancy Pants Park Bench paper, and I added a charm and a stamped sentiment(Clearly Besotted). Before I get carried away let me tell you what I used here. As I was using paint I used the back of a cereal packet as it's a bit firmer ...and it has creases and flaws which add to the texture. For the background I used acrylic paints and Distress Ink Spray . I stamped the tree swing (Stampin Up) and grasses (Indigo Blu), drew the fence by the tree ( I think this is as far as my drawing talents take me) and stamped the flowers (Impression Obsession) in a mix of paints. Finally I inked the edges and accidentally squewged a big dollop of 'wink of stella' over it ....after a rescue, managed to leave a sparkly sheen on the flowers. But does it show up in the photo????? Smudges etc show up; subtle glittering never does! Here's a jolly Christmas card. The stamps (apart from the sentiments) are from My Favourite Things and the papers are Bo Bunny. 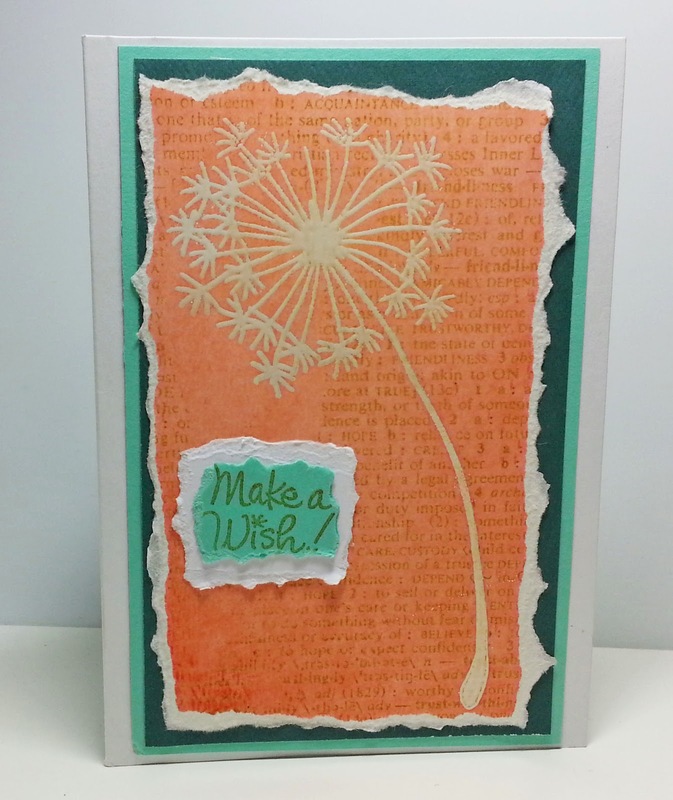 This week at Make My Monday the challenge is to use kraft card. 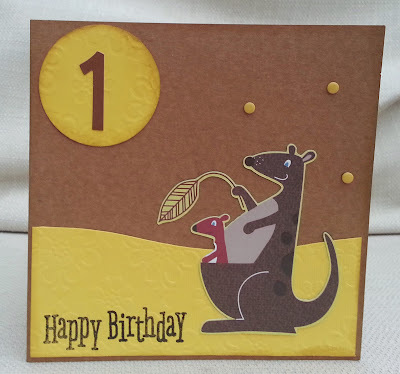 Here's a card for a one-year-old's birthday and it would have been quick and easy except for one thing....I decided to use my new Pixscan mat with the Silhouette electronic cutting machine. This was because the baby is half Australian and I found these kangaroos in the middle of some patterned paper and thought they'd be just right. Technology is great ...but you can't rush the learning curve on a new gadget! So learning how to use the Pixscan mat took longer than anything else on this card. I hope you'll join in the challenge at Make My Monday. 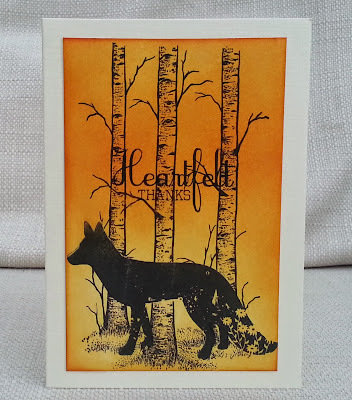 I made this card for two challenges and it was finished days ago, and I've been trying to get a decent photo ever since. At One Layer Christmas Card Challenge the theme is 'stars', and I decided to combine this with the challenge at Shopping Our Stash , which is 'silver and gold'. 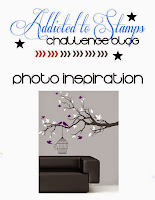 These stamps are by Sarah Hurley. 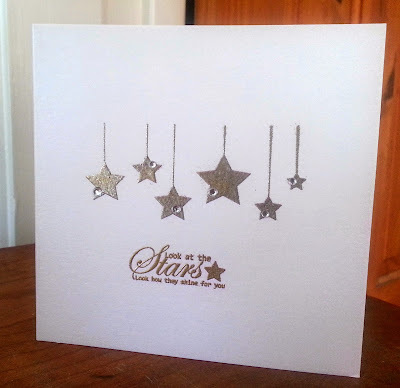 I embossed the stars using a mix of silver and gold embossing powder, and the sentiment is embossed in gold. I just wish the subtle metallic mix would show up on the photo! I'd also like to enter this for the anything goes challenge at Christmas Card Challenges . 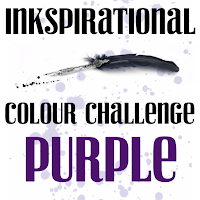 At Inkspirational we are having a special surprise challenge in honour of our DT member, Pia , who is getting married next week. We are sponsored by Clearly Besotted and to enter our prize draw you have to make a card featuring the colour purple ...and you get an extra entry if your card is on a wedding/love theme. 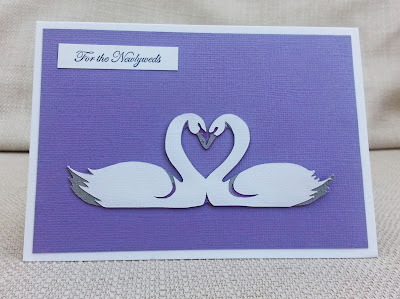 I had been thinking about my card for a while when, on Easter Monday, we went for a walk along the river and I saw two swans actually make a heart shape with their necks - I had seen that on wedding cards before but didn't realise they actually do it in real life! 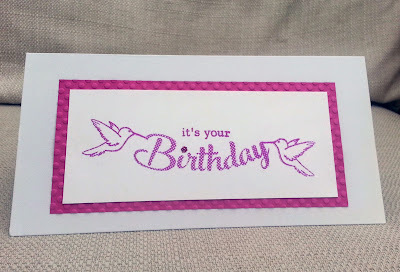 This inspired me to seek out the cutting file I used , and the only other things I needed were some lovely purple card and the sentiment (Stampin Up). 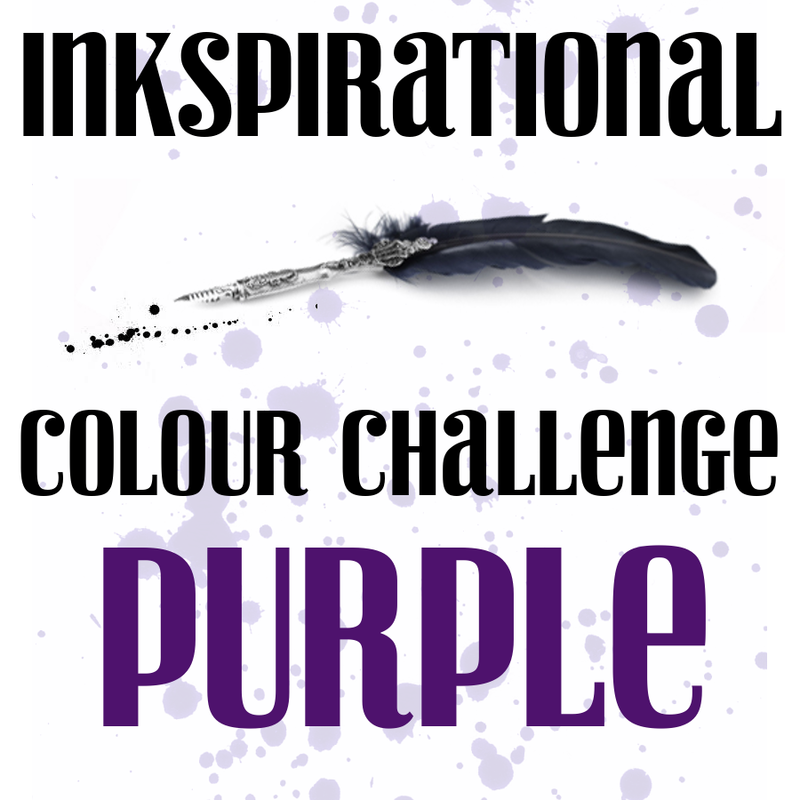 I hope to see you at Inkspirational for this special event. This stamp came free with Cardmaking and Papercraft magazine.I coloured it with markers and gel pens and added twine and a dragonfly charm. The sentiment is from another set. One of the problems with a lot of the stamps you get free with magazines, is that they seem too small to make an impact. I decided to make the smallness of this cat (coloured with Promarkers) a feature by placing it between tall panels of patterned paper. 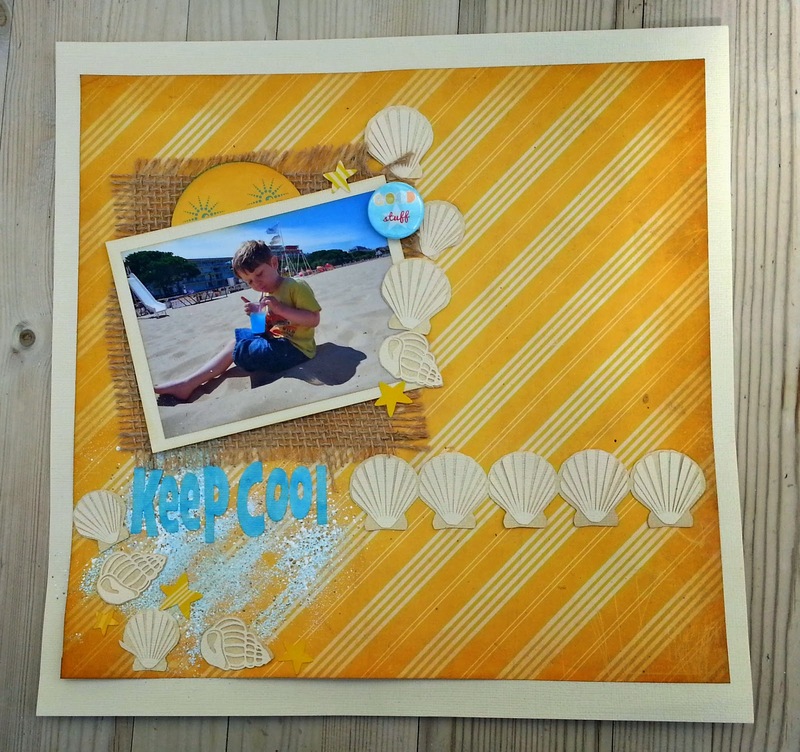 Our new theme at Creative Cutting Challenge is 'summer' . For my DT project I used Shells cutting file from The Creative Pointe. I also used paper and the sun from Cosmo Cricket and blue frantage. 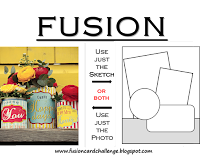 To join in our challenge, all you need to do is create a 'summer' project using an svg (electronic) cutting file. 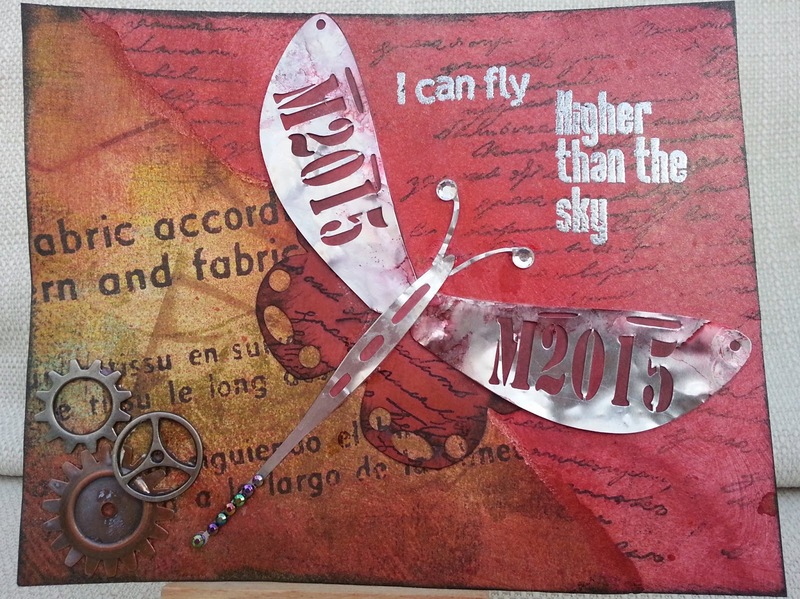 Hope to see your project at Creative Cutting Challenge. 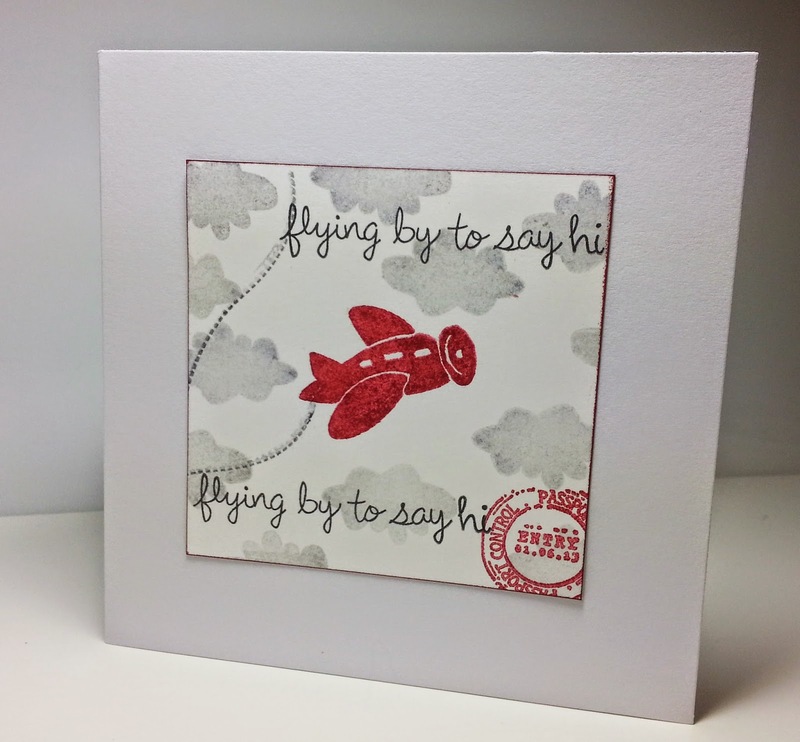 This week our challenge at Make My Monday is a real crowd-pleaser : 'Things with Wings' . Think birds, butterflies, areoplanes......I've chosen an angel to add to my Christmas card stash. 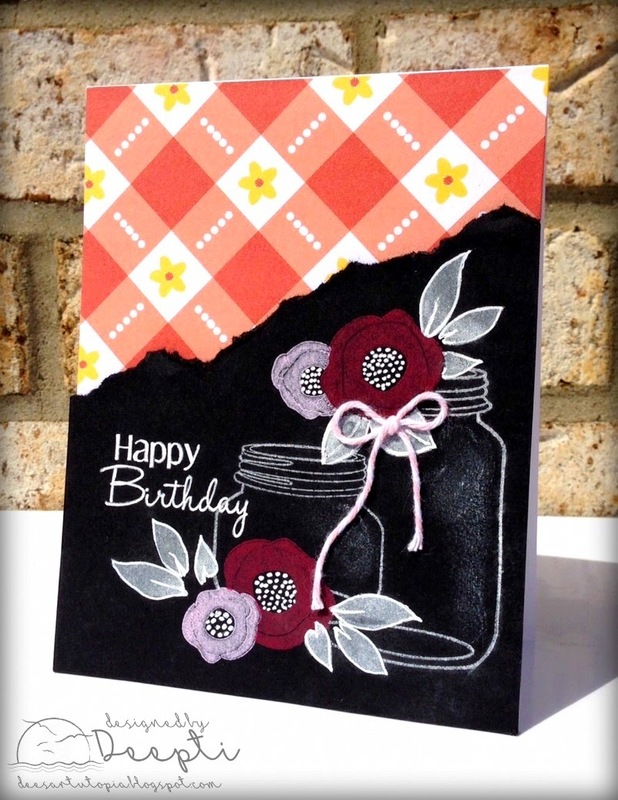 I wanted to try something new for me... creating an acetate card front and stamping onto it. I stamped the Paper Artsy angel using Staz-on and added the border (Creative Expressions) and sentiment (Sarah Hurley). I coloured it in with Marvy Metallic Markers in pink and silver. The slightly distressed look was exactly what I was going for ...honestly! I added grey pearls to the border. We would love you to join us at Make My Monday with your 'Things eith Wings' projects... see you there. I love it when challenges inspire me to try something different. I love it when challenges combine (or conspire!) to inspire me. I was really inspired by the top left picture - it looks like a cross between a butterfly/dragonfly and a plane - I wanted to capture that look. The sad thing is , although I enjoyed making it, I can't help but be disappointed with it compared to the original! I designed my insect/plane in Silhouette Studio, making a cutting file and cutting it from metal foil on the Silhouette. 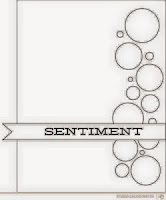 (This is the first time I have designed my own cutting file totally from scratch and if any Silhouette users want a copy just leave me a messsage.) In the original picture, the wings say v8851 - I googled that number to see if it meant anything but all I came up with was a Vogue dressmaking pattern from 1952. That gave me the idea of using the dressmaking pattern paper on the background but I changed my numbers to my initial and the year. As well as the pattern paper, the background was made with acrylic paint, spray mists and Indigo Blu script stamp. I silver-embossed the text stamps. 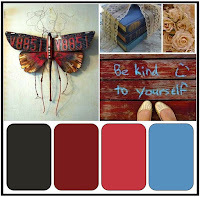 (Paper Artsy) . 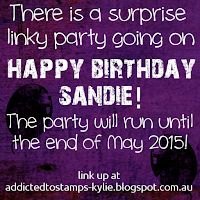 It's time to wish my dear friend and teammie, Sandie, a happy birthday. 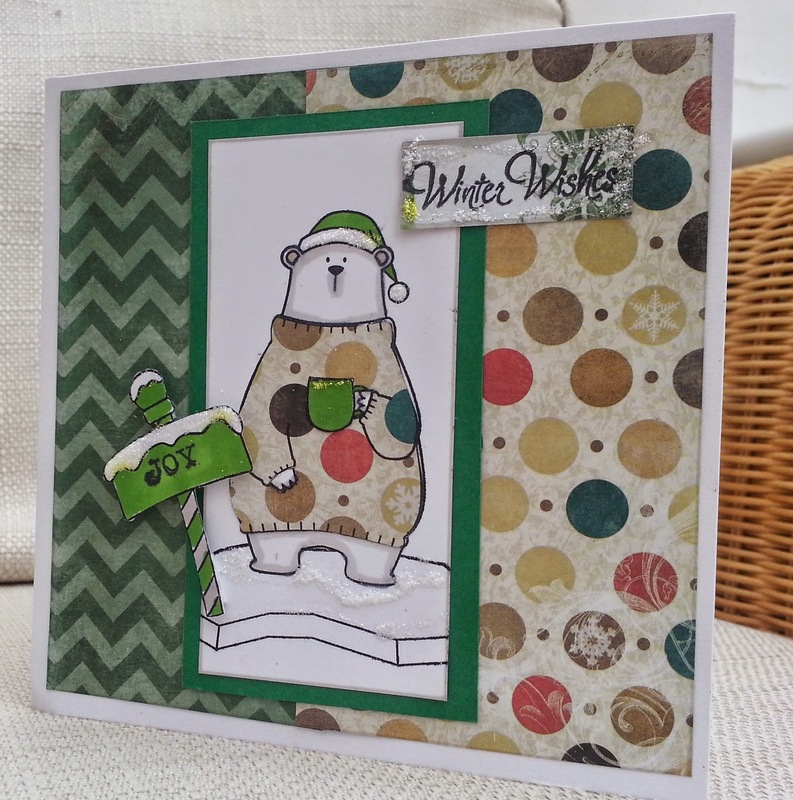 I hope you will receive this card today, although as it was only posted yesterday, that may be a long shot! 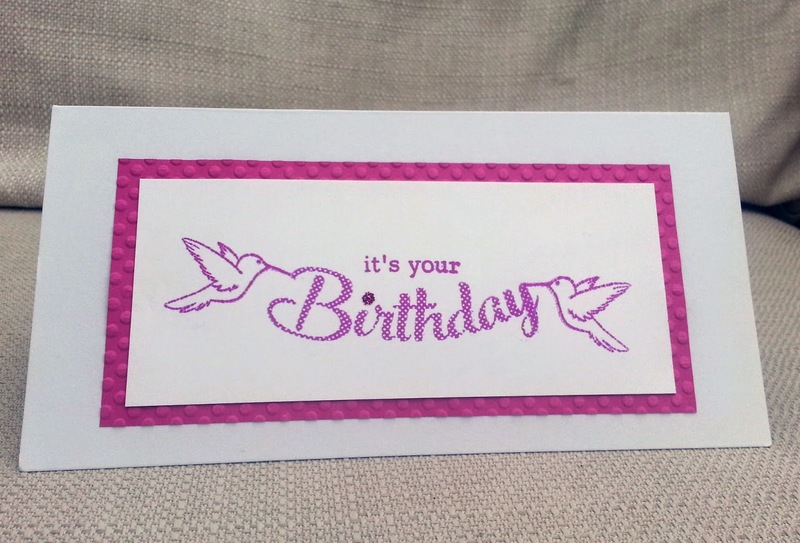 The 'birthday' stamp is by Clearly Besotted, and I curved it on the acrylic block to give it a banner shape before stamping. The birds were from an old 'free with magazine' set. There's a teensy bit of glitter on the dot of the i, hope it hasn't rubbed off in the mail. I kept it CAS for Sandie! 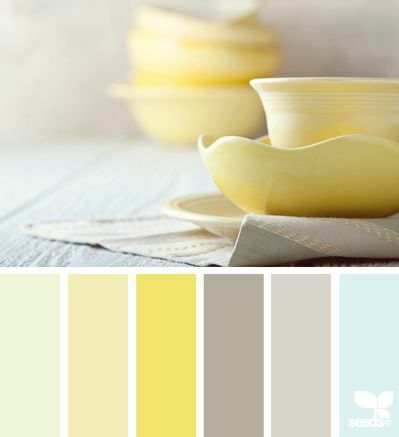 Our challenge this week at Make My Monday is to make a project on the theme of 'Tea or Coffee'. I stamped and heat embossed the cups stamp (Stampington) onto vellum. Then I used a stylus to emboss white highlights onto the cups. 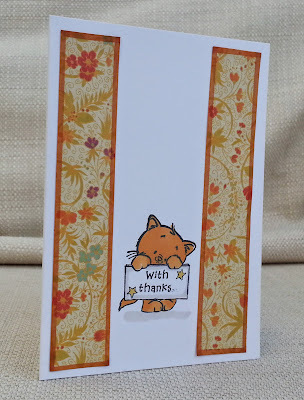 I punched a border on the vellum and layered it over a card blank covered in patterned paper. The sentiment is a rub-on. Having recently had a 'milestone' birthday, I'm in the lucky position to be having to send out lots of 'thank you' cards. 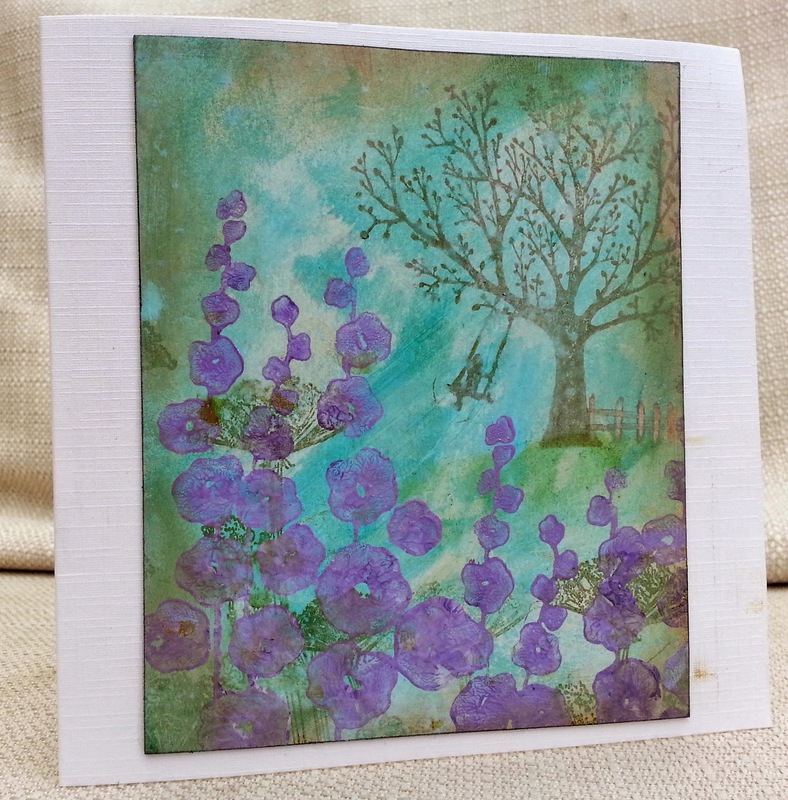 This one was made with Distress Inks, fox stamp (Fiskers), trees (Stampscapes) and sentiment (Clearly Besotted). For my DT card I made a background using torn kraft card, acrylic paint and sprays, then 'distress-stamped' (did I make that term up?) a text stamp (Sarah Hurley). 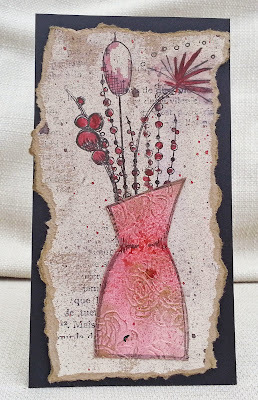 I stamped a vase and flowers ( several Paper Artsy sets) and coloured them in with red acrylic paint with different levels of dilution. I stamped and cut out another vase, embossed it with an embossing folder and highlighted some of the embossing with gilding wax. 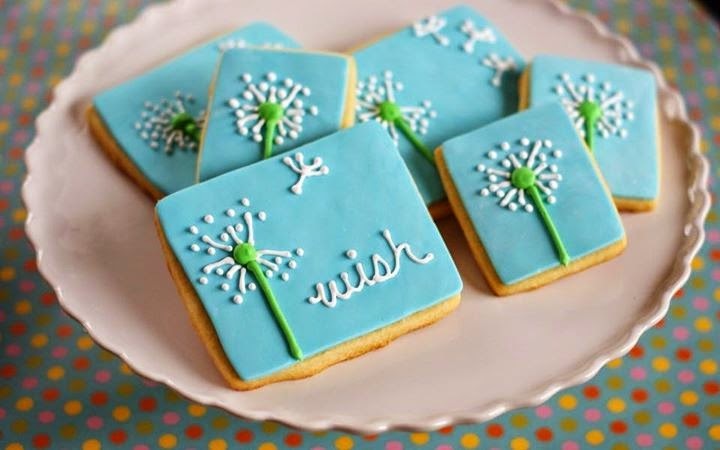 We'd love you to join us at Inkspirational for our recipe challenge. I love it when a few challenges collide and inspire me. 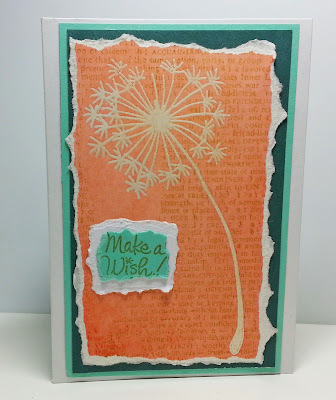 I had been thinking about entering the photo inspiration challenge at Crafty Creations , remembering my dandelion stamp set (Stampendous?). 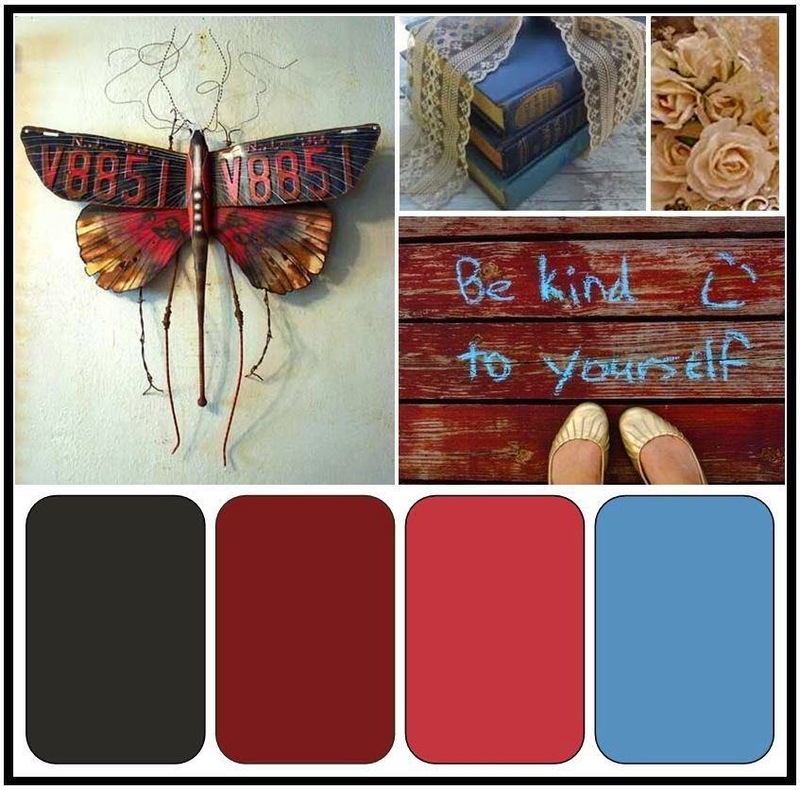 Then I saw the colour combo at Crafty Catz - I had seen this exact 'mood board' photo somewhere else recently and pinned it on Pinterest,intending to use the colours. I decided to use a resist technique ( Mod Squad) and the big Hero Arts Friendship words stamp ('F for Friendship' Alphabet Challenge ) . The dandelion looks less yellow in real life - I embossed it in white pearl and I think the pearl makes it look more yellow when photographed in artificial light. 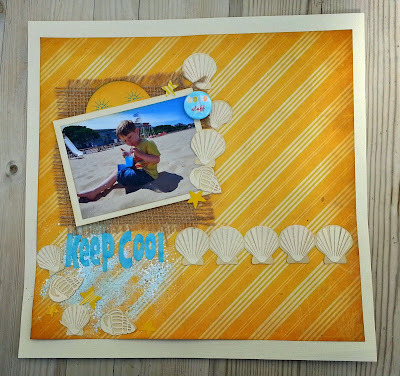 I'd also like to enter the challenge at Simon Says Stamp , as that is about coral, my main colour. 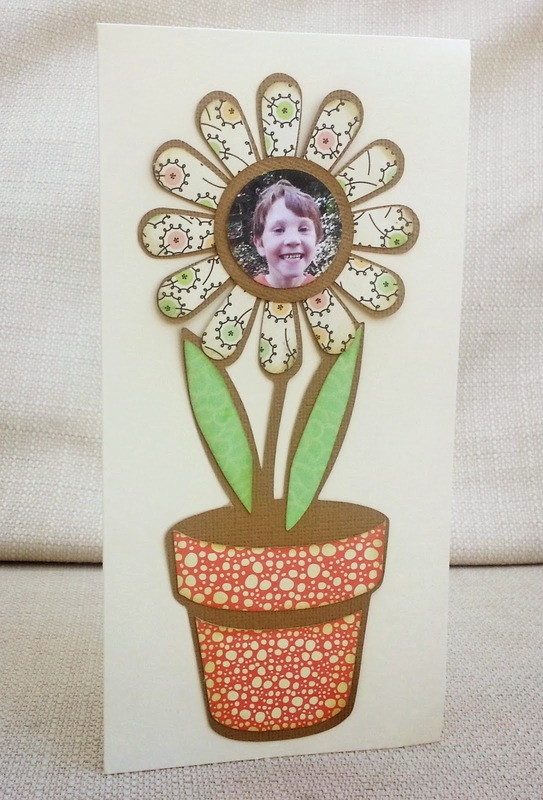 Our new theme at Creative Cutting Challenge is 'Mothers' Day' . The pot would be a perfect place to put a Mothers' Day sentiment , but I decided not to do that as I'm English and our Mothers' Day was back in March. In fact, the strangely grimacing child in the photo is my own dear son, so the mum who will be receiving this card is...me. To join in our challenge, all you need to do is create a 'Mothers' Day' project using an svg (electronic) cutting file. Hope to see your project at Creative Cutting Challenge. 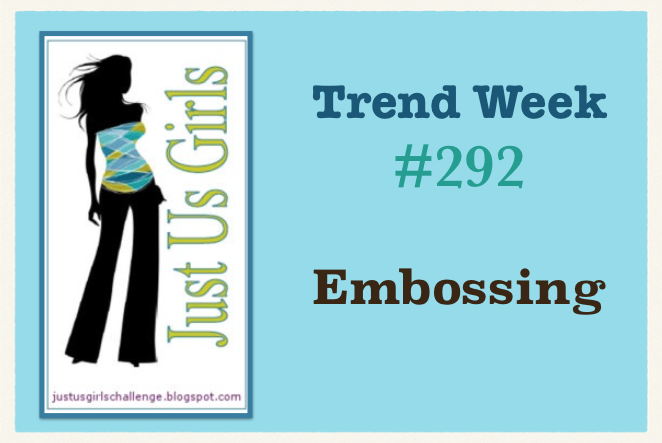 I chose this week's challenge at Make My Monday . We get a lot of this type of challenge in autumn, but I wanted the chance to use fresh green leaves and to see some of the amazing range of different styles of trees and leaves out there. 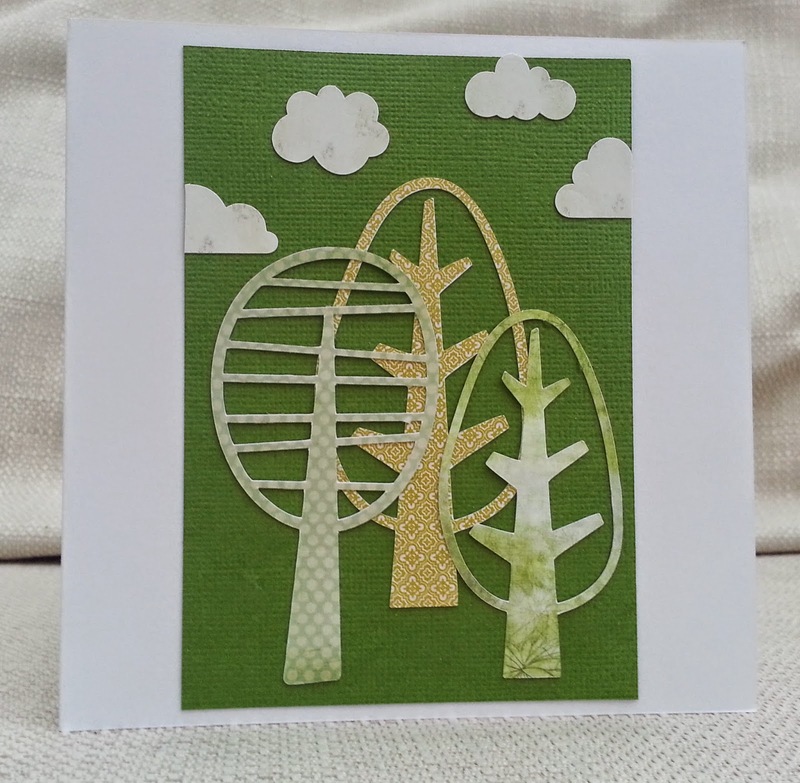 For my DT card I cut some very stylised trees from patterned paper, using Lettering Delights cut files. I played around with lots of different layouts and in the end decided to keep it simple and stay focused on the shapes. I hope you'll make a project using trees or leaves and join us at Make My Monday. Anyway the cloud and plane were from one set and the 'passport control' stamp was from another. 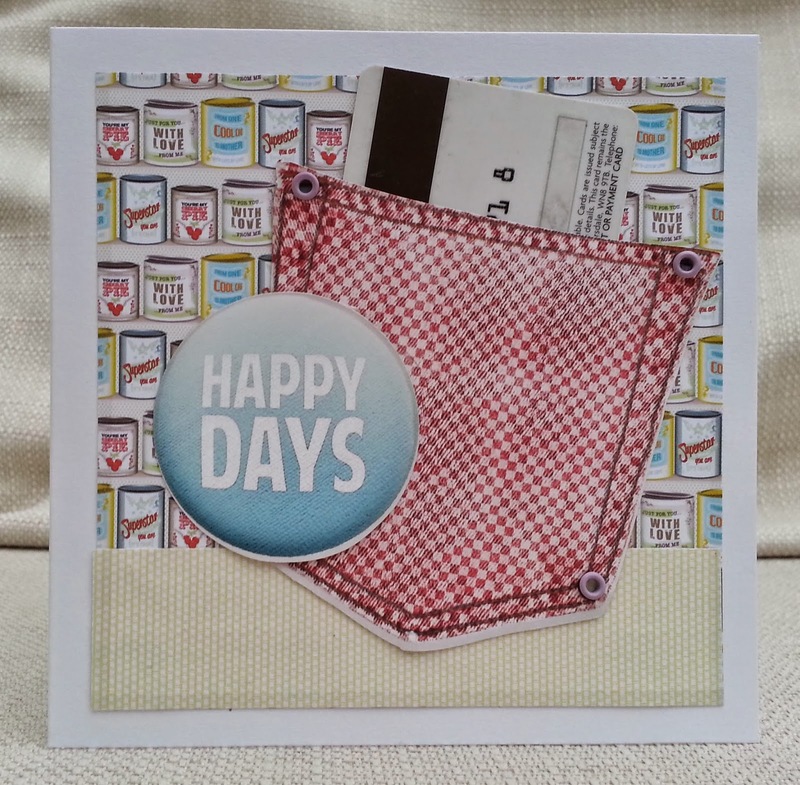 Happy Days Gift Card Card! When I saw the picture at Fusion it reminded me immediately of the Papermania Happy Days collection which I have a digital version of. I decided to also use the Fusion sketch and make a card with a pocket for a gift card. The gift card here is posed by a model! (Didn't happen to have a spare one on hand!). 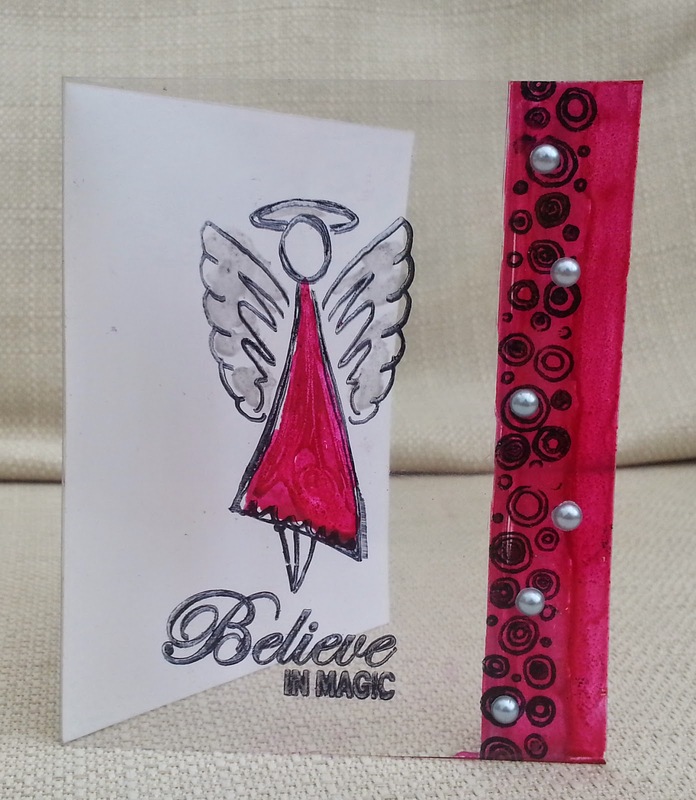 As well as Fusion, I'd like to enter ABC Challenge (I for Inspire us) and Scribble and Scrap (anything goes) . I hope that bird doesn't try to get into the birdhouse as he's sure to get stuck! 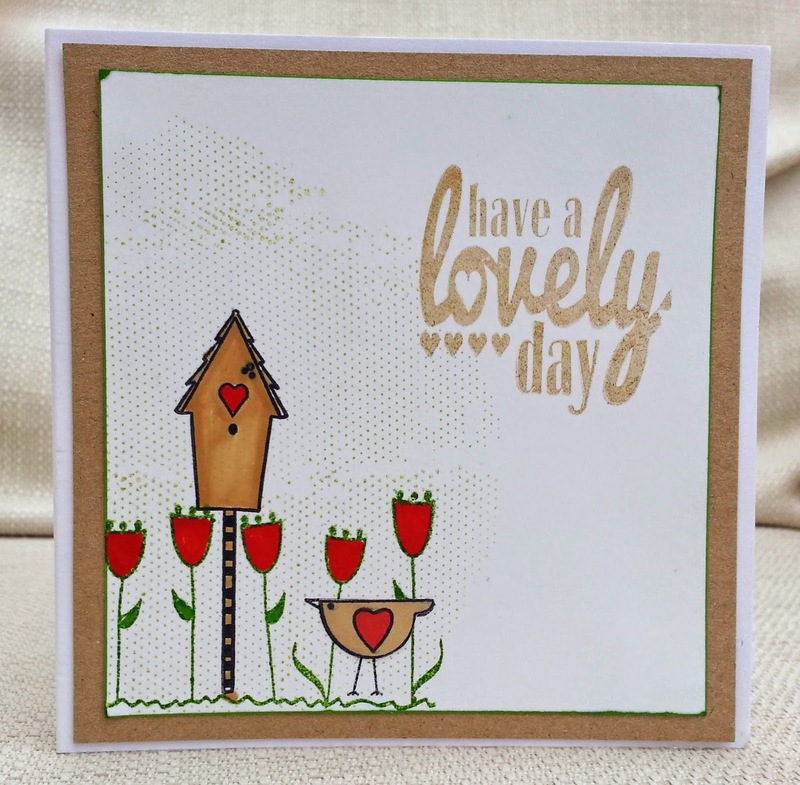 The tulips, birdhouse and bird are all Sarah Hurley stamps although I think they are from two different sets. 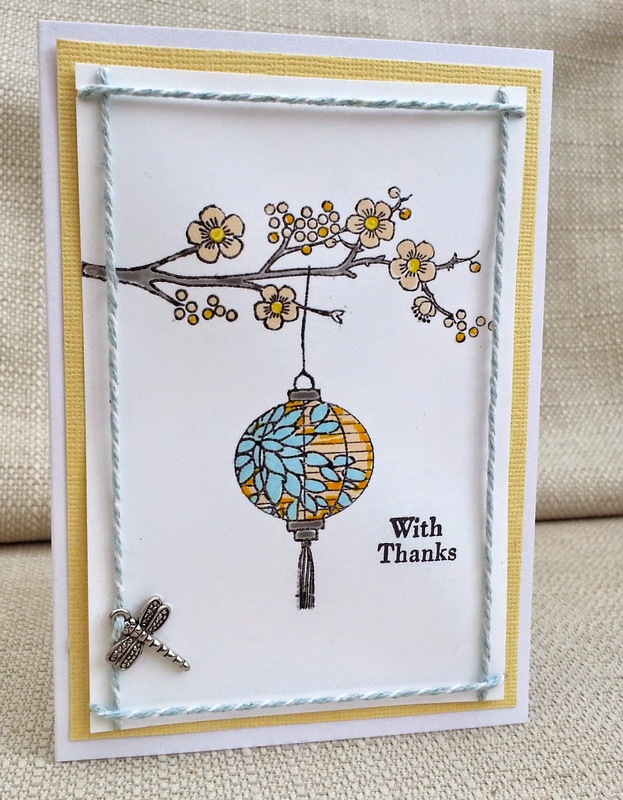 I made the background with a Kaisercraft dots stamp . 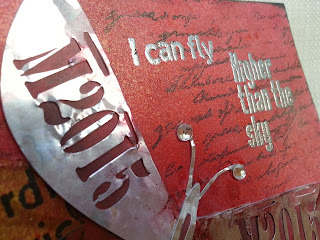 The sentiment was free with Craft Stamper magazine. I've been getting Craft Stamper for about fifteen years and , although this stamp was from more recent times, I think I've used it more than any other freebie stamp. I was thinking about how I could join in with the 1960s Retro challenge at Try it on Tuesday when I remembered some Art Journey stamps I had in my empty-box-project box, the woman and the dots/circles top left (and more faintly in the background). While I was playing with my ideas for this I was watching the Paper Artsy sprays video and that inspired me to get my sprays out. I inked some card with coral ink and then stamped the woman and masked her with a post it note. 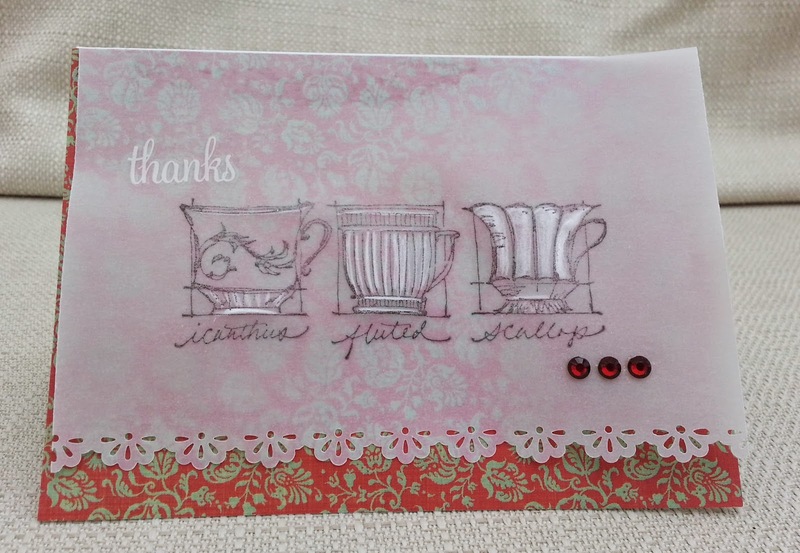 I stamped the spotty stamp several times also in coral. Then I got playing with two colours of sprays and two stencils.